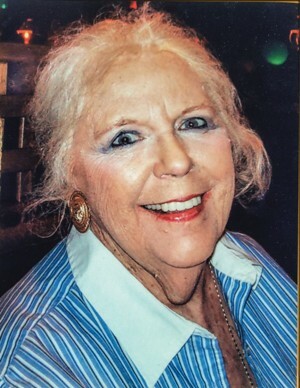 Obituary for Mary Alice (Swanson) Lynch | Doolittle Funeral Service, Inc.
Mary Alice (Swanson) Lynch, 87, of Cromwell, beloved wife of Robert T. Lynch for fifty-nine years, passed away on Saturday, March 30, 2019 at Wadsworth Glen Health Care and Rehabilitation. Born in Portland, she was the daughter of the late John and Eva (Wall) Swanson. Mary lived in Cromwell for over sixty years and was a member of Saint John Church. She loved spending time with family and friends. Along with her husband, Mary is survived by her daughter, Robin Simeone of Cheshire; her son, Brian Lynch of Cromwell and two grandchildren, Erin and Patrick Lynch. Besides her parents, Mary was predeceased by her son, William Lynch and two brothers, John W. Swanson and Richard Swanson. The Lynch family would like to say a special thank you to the staff of Wadsworth Glen for their kind and compassionate care. A Mass of Christian Burial will be held on Thursday, April 4 at 10:00 am at Saint John Church, 5 Saint John Court, Cromwell. Burial will follow in Saint John Cemetery in Middletown. Family and friends may call on Wednesday evening from 5:00 to 7:00 pm at the Cromwell Funeral Home, 506 Main Street, Cromwell. In lieu of flowers, donations in Mary’s memory may be made to Saint Vincent DePaul, P.O. Box 398, Middletown, CT 06457. To share memories or send condolences to the family, please visit www.doolittlefuneralservice.com.